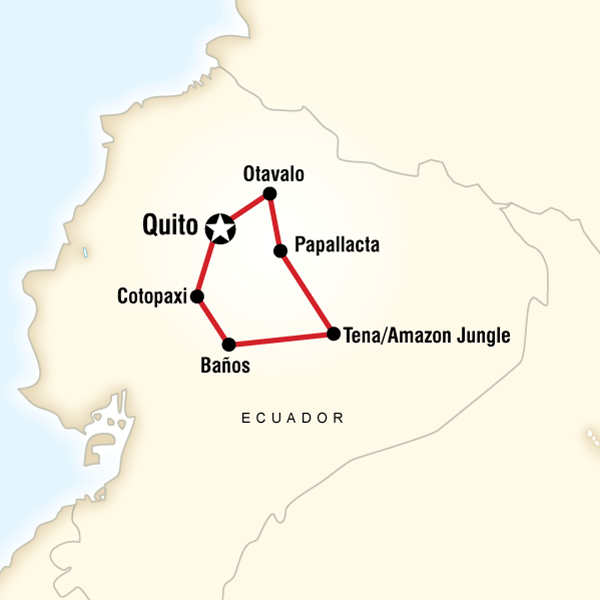 Your Journeys Highlight Moment: Otavalo Weaving Lesson, Otavalo Your Journeys Highlight Moment: Amazon Home Experience, Tena Your Journeys Highlight Moment: Visit the Omaere Ethnobotanical Park, Baños Your Wellness Moment: Papallacta Hot Springs Visit, Papallacta. Arrival transfer. Overnight in an historic hacienda. Explore the Otavalo handicraft market. Cloud forest reserve visit. Two nights at an Amazon lodge with jungle excursions. 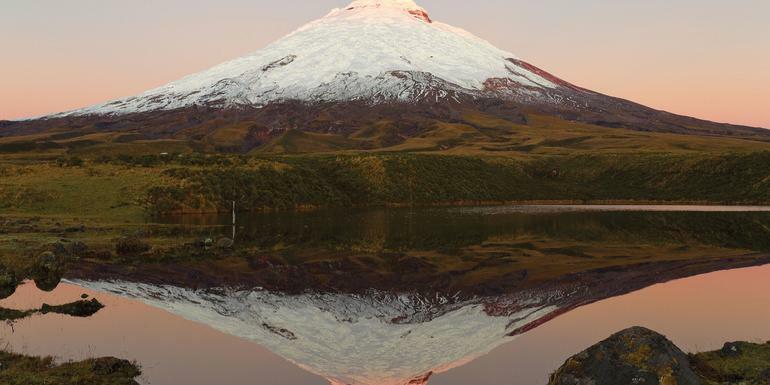 Excursion to Cotopaxi National Park. Internal flights. All transport between destinations and to/from included activities. Most people automatically assume that the weather is hot in South America, but because of the higher altitude in the Andes, the temperature can feel quite cold, especially at night. We recommend the use of a medium sized soft suitcase, duffel bag or backpack, whichever is easiest for you to carry. A good size daypack is also essential. Rubber boots are very good for hiking in the rainforest, they help protect feet from plants and insects close to the ground as well as deep water. The lodge offers use of boots as a courtesy to our guests, available from size 5 to size 12. How to keep things dry: We recommend that passengers bring zip-lock plastic bags or dry sacks for your lenses and camera equipment. A waterproof backpack will also help you to protect your camera gear or anything else you wish to keep completely dry. The humidity is high in the rainforest, however, if you follow the advice about packing appropriate belongings it should not be an issue.